1. Grab an Early Bird place.Our lowest price is held until the end of January. That’s a full FOUR months at our best rate. Three more tiers to beat before the 1st August when our final rise takes place. No hidden surprises, we let you know when it’s happening so you can plan in advance. 2.Run for one of our Charity Partners. Grab a free place or one for just £10 if you contact them directly: www.ealinghalfmarathon.com/charity/. 3. Volunteer and run for FREE. If you aren’t ready for a half marathon in September you can volunteer and get a race place for the same race the next time around. We need 700 volunteers to help us on race weekend at Ealing Half Marathon so be a High Vis Hero with us instead!! Don’t miss out on this West London half marathon! 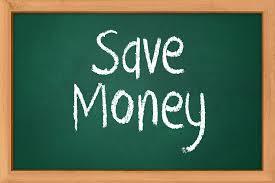 The sooner you book, the more you save!! !